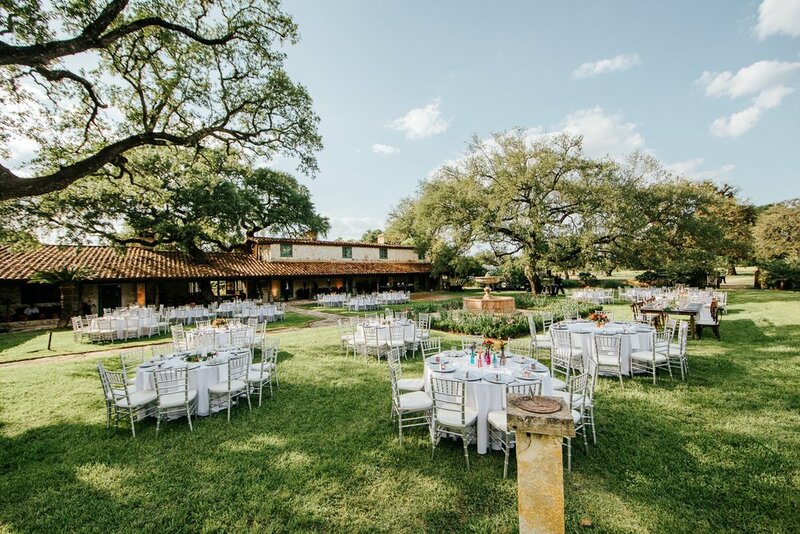 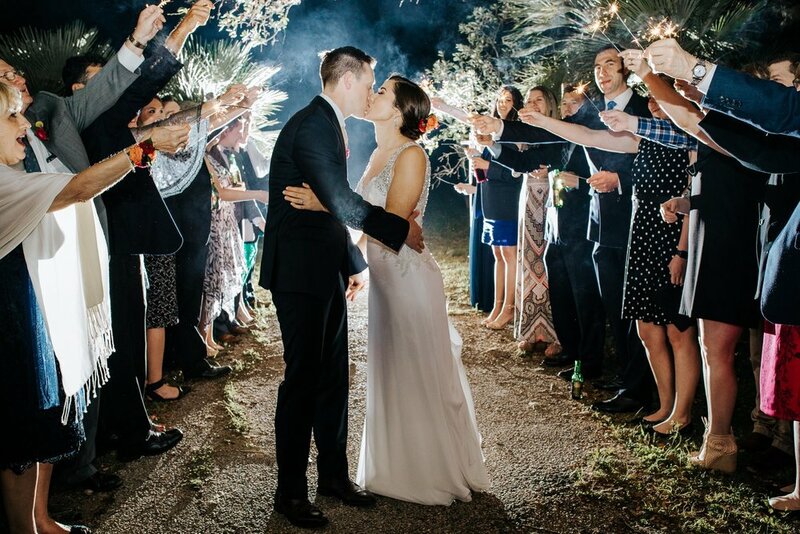 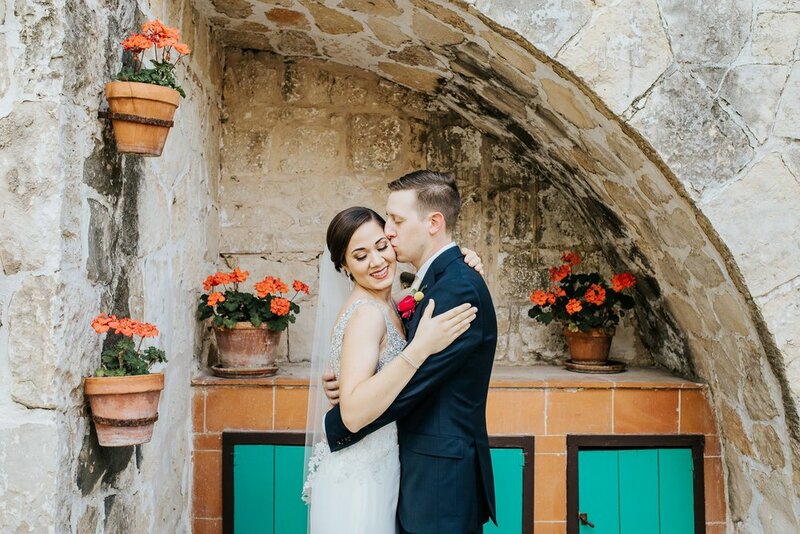 When Danielle and Travis imagined their big day, it included relaxing with their closest friends and family and dancing the night away to their favorite Texas country band. 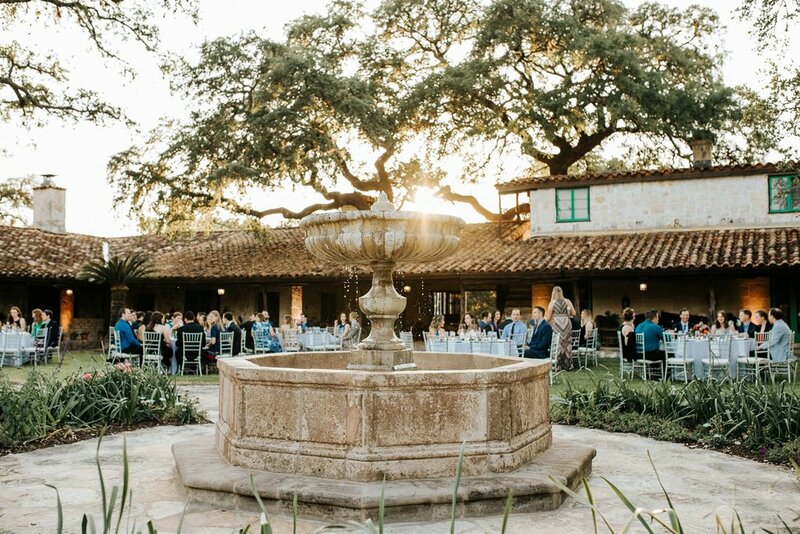 After touring the Gallagher headquarters, they felt it could be the perfect setting for their big vision. 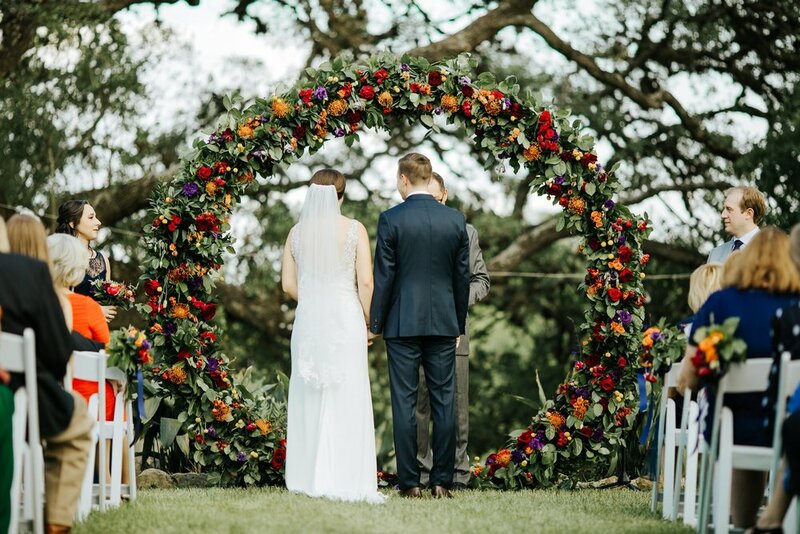 Its winding paths, towering archways and gorgeous landscaping sealed the deal. 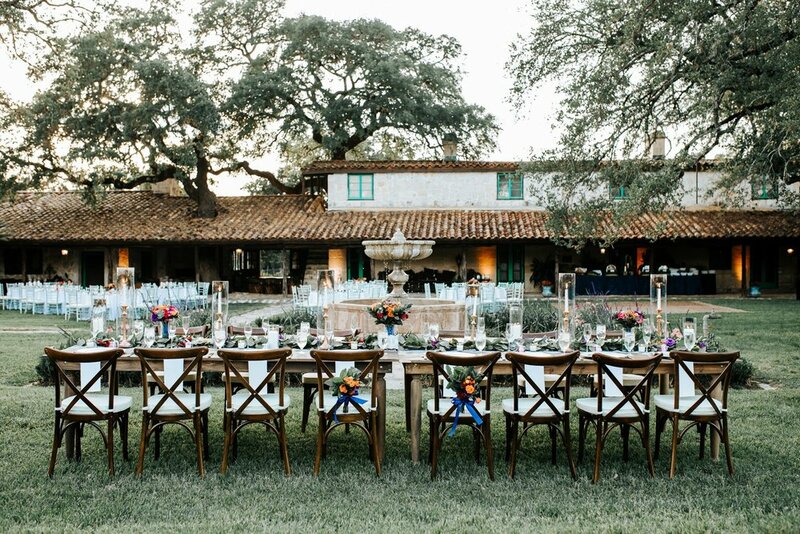 It was essential to Danielle to include her Puerto Rican history and she felt the best way would be through incorporating Latin inspired dishes and desserts for their guests. 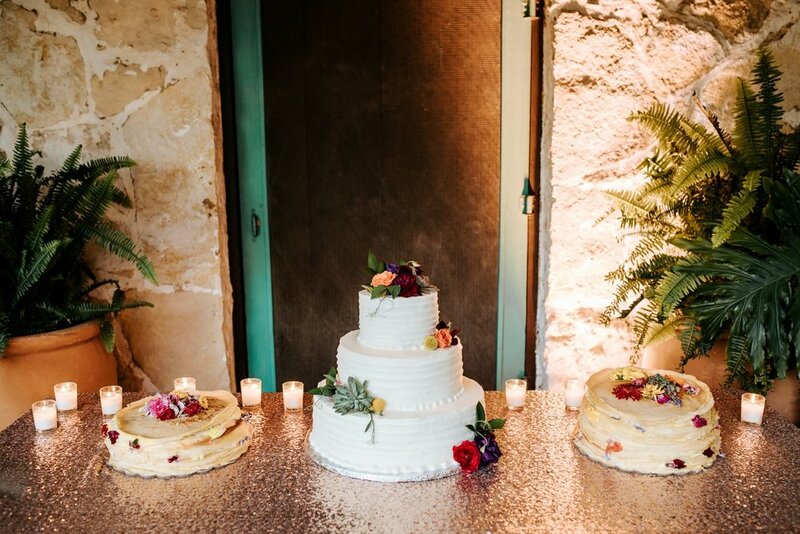 When it came to the details, they included bright and bold colored flowers, guava filled crepe cakes and king farm tables complete with rose gold candle sticks, a greenery runner and cross back chairs.